At Pflugerville Locksmith Pros, we help families and business property managers boost security by installing special locks that are highly durable, very efficient, and stronger than any other type on the market. These are high-security grade 1 locks. Simply put, grade 1 locks are the top rated locks according to the American National Standards Institute (ANSI). And, they require the services of an experienced professional in order to function properly. Because we’re dependable and dedicated, the process of setting up an appointment for our services is never a hassle. As 24-hour locksmiths, we always strive to provide locksmith services in the area. You can benefit from our 30 minute or less response times, and the guarantee that comes with hiring our licensed, bonded and insured technicians. After a robbery, the lock on the door that was used as an access point must be replaced. This lock will no longer be effective because the integrity of the mechanics was compromised when the robber kicked in the door. In addition, a damaged lock could malfunction while it’s used; this means that you may have problems turning the key on a regular basis. When a key is lost or misplaced, you can take advantage of the situation by updating all of your locks. If the lost key was designed for an outdoor lock, a replacement should be installed immediately. By working with us during this situation, you’ll have peace of mind because we offer immediate emergency locksmith services round-the-clock. You won’t have to guess the overall costs before the new lock is installed since we are committed to our upfront pricing policy. Each time someone moves out of a residential location, the locks on the door must be changed or rekeyed. During these jobs, our local locksmiths can place high-security locks on the main doors and near any access points where valuable items are stored. A hybrid lock should be considered if everyone in your home or office doesn’t fully understand how to use a high-security gadget. 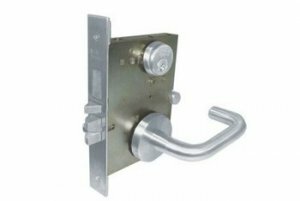 This lock is typically designed with a fob pad system or a touch screen, and a deadbolt is usually equipped with the housing. The key fob feature will appeal to users who own mobile devices if smart technologies are included with the lock. Smart technologies let users disarm locks with ease by interacting with a smartphone app. RFID locks provide big benefits in big commercial buildings on various floors. Employees will enjoy using these locks because they will be able to unlock doors by accessing a specific radio frequency. Low-energy locks are ideal for homeowners since they eliminate the need to use keys. Most units are designed with a fingerprint pad; the heat technology in this pad unlocks a door after a user touches the screen. The bottom line is if you need assistance with your high-security grade 1 locks our any other type of lock services, our commercial and residential technicians are here for you. 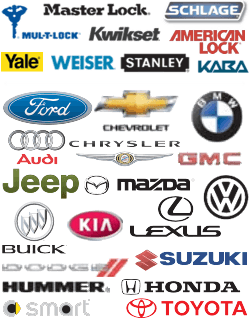 To schedule an appointment for our installation services, contact us today. Because we’re hardworking technicians, we also offer a grade 1 lock repair service so that you can maintain your security equipment after the installation is done. High-Security Grade 1 Locks https://pflugerville-locksmith.co/lock-services/high-security-grade-1-locks/ 3.9/5 based upon 47 reviews.